Manning's Equation for open channel flow is the go-to equation for open channel problems. An open channel is basically anything that flows out in the open above ground as well as pipes that are not flowing to their full capacity. 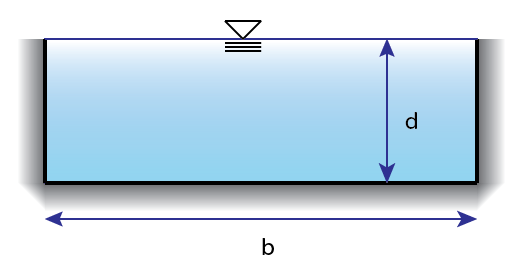 Q is the flow and can be in either cubic feet per second (US) or cubic meters per second (SI). When using the equation for SI units leave out the 1.49 factor! A is the Area of the channel. This can be determined with geometry for the easy rectangular and trapezoidal shapes or using table equations in combination with depth, base length, diameter etc. Find where channel geometry equations are in your reference.